With a bundle of great features and an amazing look, Apple is going to launch its new OS which is equipped with various apps. This newly modified and “redesigned and refined” OS X was announced Monday at the tech giant’s annual conference in San Francisco. 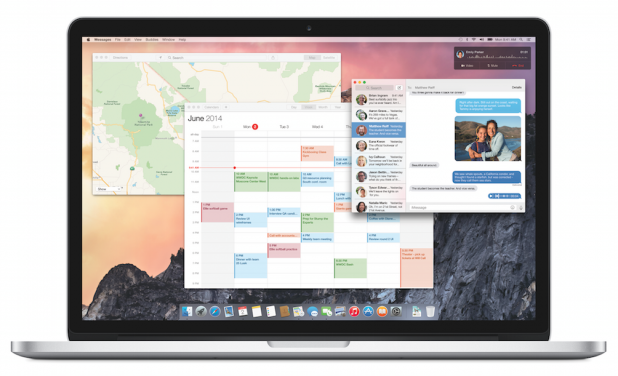 Apple revealed that the new OS will feature notification centre giving users a quick look at everything they need to know. It means it will provide a central place to track and interact with all features. Gradually the Apple’s mobile devices are growing in popularity and the new iOS 8 system means further tweaks, improvements and advancements. Like a universal search tool will let users cover files on both their device and the Internet. Apple also announced HealthKit, the iOS 8 will have a built-in health-management tool to help people track their vital signs, diet and sleeping habits. So overall its a great featured OS which will definitely have some other hidden features too.